Executable code embedded within Office documents continues to be a popular way to deliver malware. Social engineering is often used to try to get you to enable the blocked content, usually by pretending that there’s hidden or encrypted information in the file that requires you to click those “enable” buttons. Microsoft Threat Intelligence Center’s John Lambert has created a compilation of screenshots of lots of these – quite an eye opener, and useful for staff training. Sometimes, IT admins are forced to disable the protection features due to pressure from users who are annoyed with stuff not working “how it used to” or having to click through too many security checks. Sometimes, they don’t think to force the Office products to display the warnings, and leave the Trust Center settings available for users to change themselves (i.e. turn off). As with many things macros can be of huge benefit, but if their use isn’t essential, just disabled them. If nobody needs them, nobody will notice if the functionality isn’t there. This advice is just common sense (right?) but if you don’t believe me, believe Microsoft – they say the same thing. As do the UK’s National Cyber Security Centre. 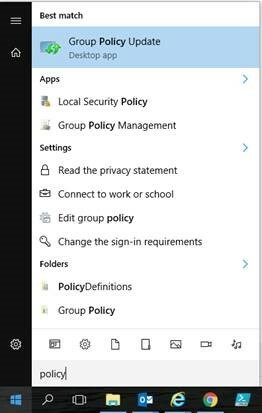 You have several options, and the two I’m going to show you require the latest Office Group Policy Templates, so download those if you’ve not already got them and put them into your central store for group policy (you are using one of those, right?). In Office 2016 Microsoft included this new feature that you can enable via Group Policy. It’s available for Word, Excel and PowerPoint, and allows you to disable macros where Office detects that the file has come from the internet, be that downloaded via a web browser or from external email. They liked it so much, they even backported it to Office 2013 too. In the Group Policy Management Editor, go to User configuration > Administrative templates > Microsoft Word 2016 > Word options > Security > Trust Center. Open the Block macros from running in Office files from the Internet setting to configure and enable it. Computer or User Configuration > Administrative Templates > Microsoft Office 2016 > Security Settings. Enable the setting Disable VBA for Office applications. Hopefully you’ve found this a useful, practical guide to increasing your security. Save yourself and your users time and frustration by implementing this Start Menu shortcut to help them run a Group Policy update quickly and easily. This is handy if you deploy network drives, printers, etc. to your users automatically via Group Policy. If for any reason they’re missing when the user logs on to Windows, they can usually make them appear just by getting the Group Policy processed again. Once implemented, users can just click Start and type “group”, “policy”, or “update” to make the shortcut show up, or find it under “G”. Open Group Policy Management Console (gpmc.msc), and navigate to a GPO that applies to the computers (or users) that you want to put the shortcut onto. I’m deploying this to the computer, and putting it into the All Users Start Menu, so that I only have one copy of it on the machine, rather than a copy in every user profile. Go to Computer Configuration, Preferences, Windows Settings, Shortcuts. Then on the Common tab you can tick the box for Remove this item when it is no longer applied. This is why I chose the Replace action, rather than Update. Just in case you ever want to easily remove this from your machines – just remove the shortcut from the GPO and the icon will go from your machines too. You can obviously change the icon to whatever else you want. Managing Office 365 manually via the portal is fine, until you get fed up with it or need to make bulk changes. 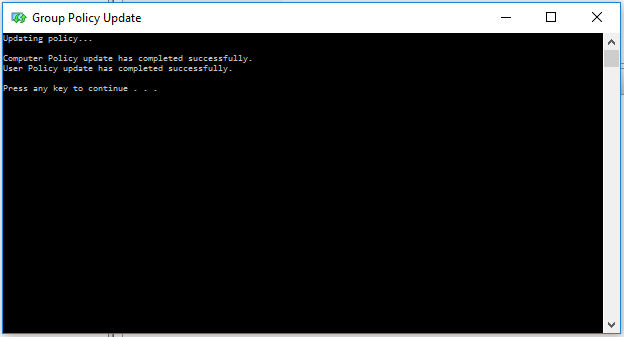 Automating the licence allocation process turned out to be fairly easy, once I’d got to grips with how the PowerShell cmdlets worked. Make sure that you only ever specify “valid” combinations of licences – e.g. you can’t add Audio Conferencing if the user doesn’t have a Skype for Business licence. This is exactly the same as when you manage users via the Admin portal. AccountSkuId = a code for a top level product as seen in the admin portal, for example O365_BUSINESS_PREMIUM is the Office 365 Business Premium bundle. Plans = subcomponents of an AccountSkuId, e.g. MICROSOFTBOOKINGS is (unsurprisingly) Microsoft Bookings. By default, all plans within an AccountSkuId are enabled when you add an AccountSkuId to a user. To disable some, you create an MsolLicenseOptions object specifying the plans you want disabled. To change the plans that are enabled/disabled within an AccountSkuId for a user, you have to remove the AccountSkuId from the user, create the MsolLicenseOptions object and then re-add the AccountSkuId specifying the MsolLicenseOptions object. For the Msol PowerShell cmdlets, it’s “License” not “Licence”! I’ve been meaning to do this for some time, it just feels like it should be automated, and now, for me, it is. The script below runs as a scheduled task. It writes its actions to the Application event log. The way it works is to assume that all users in Office 365 should have a Business Premium licence, unless they’re a member of an Office 365 security group called “Unlicensed Users”. If they’re in that group, it removes all licences from them. It’s easy to filter the event log to see just the information you’re looking for, to confirm what actions have been taken, and when. Read-Host -AsSecureString | ConvertFrom-SecureString | Out-File -FilePath "C:\Users\aacsyncuser\Documents\GlobalAdmin.pass"
and provide the Office 365 Global Admin password when prompted. This will create the .pass file used by the script. New-EventLog -LogName Application -Source "Manage O365 Licenses"
Grant the scheduled task user the “Log on as a batch job” right: From your Administrator prompt, run gpedit.msc and go to Local Computer Policy – Computer Configuration – Windows Settings – Security Settings – Local Policies – User Rights Assignment. Double-click Logon on as a batch job and add the scheduled task user. Save the script and modify it to include the correct path to the password file you created, the correct Global Admin UPN for $MsolGlobalAdminUsername, and your MSOL Domain name for $MsolDomain. Troy Hunt recently released over 300 million SHA1 hashes of passwords that his Have I Been Pwned website has been collecting. The site allows you to search the database to see if your passwords are included in those from many data dumps and breaches. However, putting a valid password into a third party website, even one that’s claiming to do good things (and I’m sure it is) is a bad idea. The roughly 6GB of downloads allow you to search the cache of passwords yourself, on your own machine, which is much safer. Loading these files into an editor to use the search function is not going to be easy though, so I wrote a script to search the file piece by piece. This PowerShell script takes two parameters: The path to the password file, and the password to search for. It converts the password into a SHA1 hash, and then searches the file looking for that hash. It’s not fast, but does give you a very rough progress bar. Use an SSD, a fast processor (with turbo capability) and if you’re going to do multiple searches, more RAM than the size of the hashes text file plus plenty of room for your OS (Windows will cache the entire file in RAM if it can). The script reports if it’s found the hash of your password or not – you can test it with a password like qwerty or 123456 just to check as these are both in there. not match any valid registered keys. Worked fine yesterday. I’d not touched anything. The Web Application Proxy Servers looked fine too. I checked the AD FS management console, and noticed under Service – Certificates that the Token-decrypting and Token-signing certificates all had today as their Effective Date. where the credentials are those of my rcmtechcouk.onmicrosoft.com global admin account, and adfsserver01.rcmtech.co.uk is the name of one of my internal ADFS servers. That updates the certificate details that Office 365 (Azure AD) has so that they match the certificate used by ADFS. The Integrated Windows authentication endpoint is missing on the internal metadata document. The above will also fix that too. Note that you need to wait a little while before the updated details start to be used. I’ve blogged about the issues with the well-intentioned but ill-though-out Remote Desktop Management Server concept in Windows Server 2012 (inc R2) before, trying to come up with workarounds to all the things you used to be able to do easily with tsadmin in previous version, that you now just cannot do. Like delegate non-admin users (e.g. helpdesk, expert users) the ability to log off other users. You need to run that on all your RDS servers. Once the helpdesk staff are in the group they’ll need to log off the RDS server and back on again. Now you can give them the script to run. The script uses quser to get the current user sessions on the server where it’s being run, parses it and displays it in a GridView (with multi-select). Selected users are then logged off via the (also old) logoff Command. Get your helpdesk user to right-click the script, select “Run with PowerShell”, then just select one or more users to log off and click “OK”. $QUserArray = $Quser -split " "